By Amy J. Downey·	 12/14/2010, 6:07 a.m. 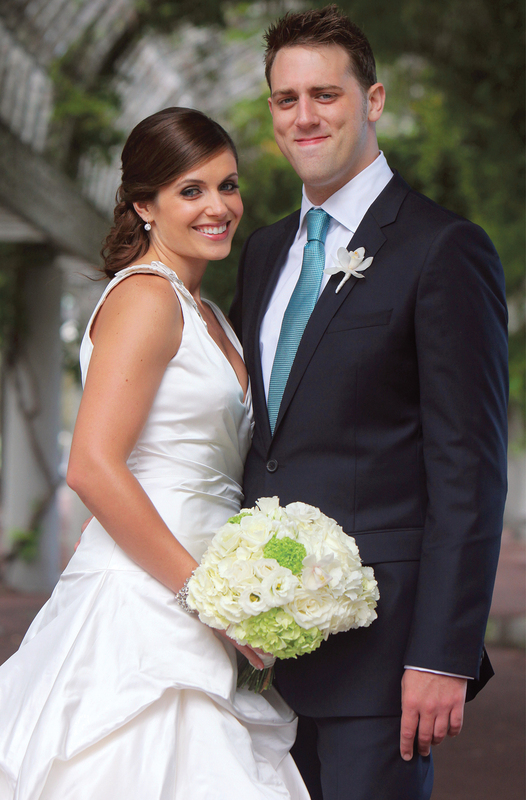 Since the band went into the studio to record shortly after the nuptials, there wasn’t time for a honeymoon, but the newlyweds are planning a getaway in early 2011, perhaps to Hawaii. Tim’s fans, however, can rest easy – he’ll be back in time for the band’s annual gig on St. Patrick’s Day. 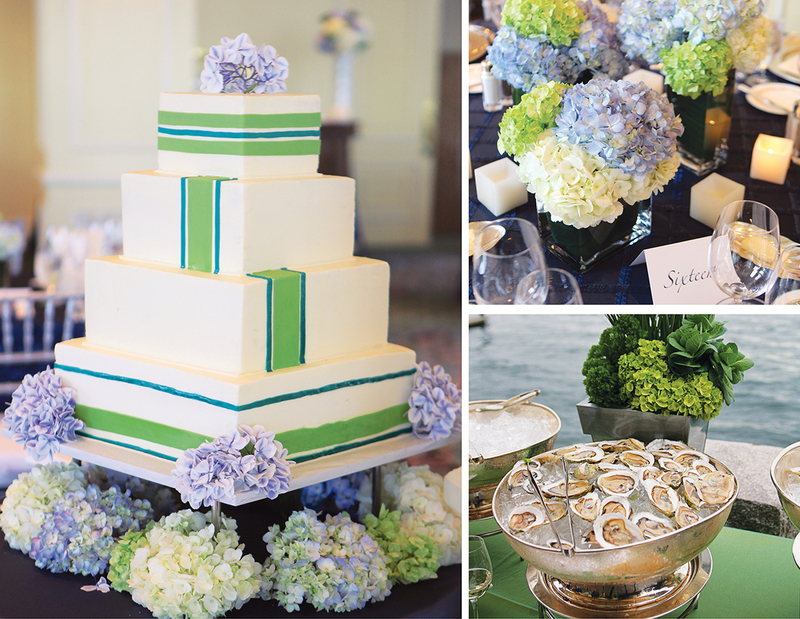 For the waterfront reception, Diana wanted the colors to be clean and fresh. “I stayed away from an overly feminine palette,” she says. (From left, top to bottom) Despite the decadence of their dark-chocolate-and-white cake, the couple didn’t have any until they got to their hotel room. “We didn’t sit down the whole night,” Tim says. 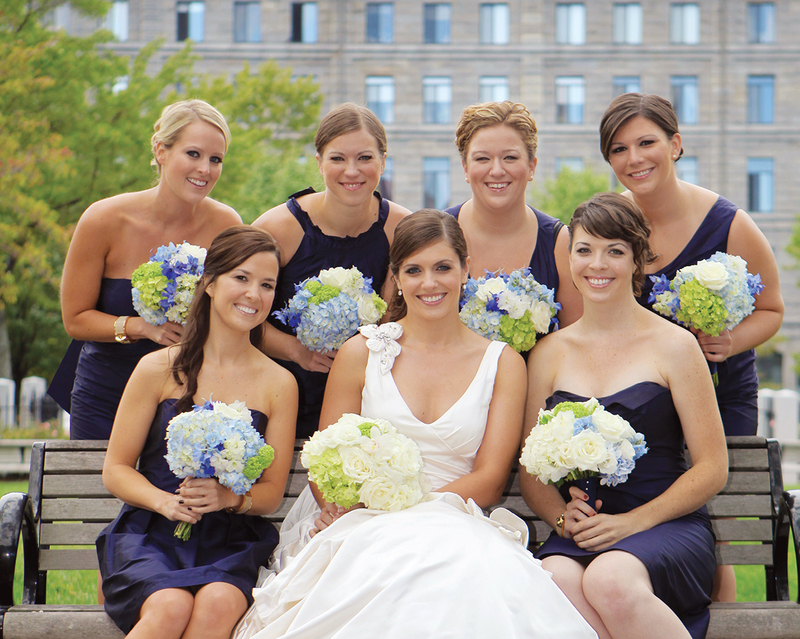 Bouquets of hydrangeas decorated the tables. 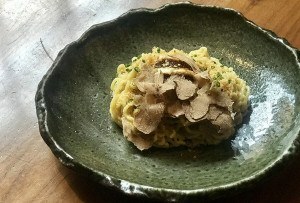 The menu was all Boston, and included a North End pasta station (a nod to where the couple had their first date). 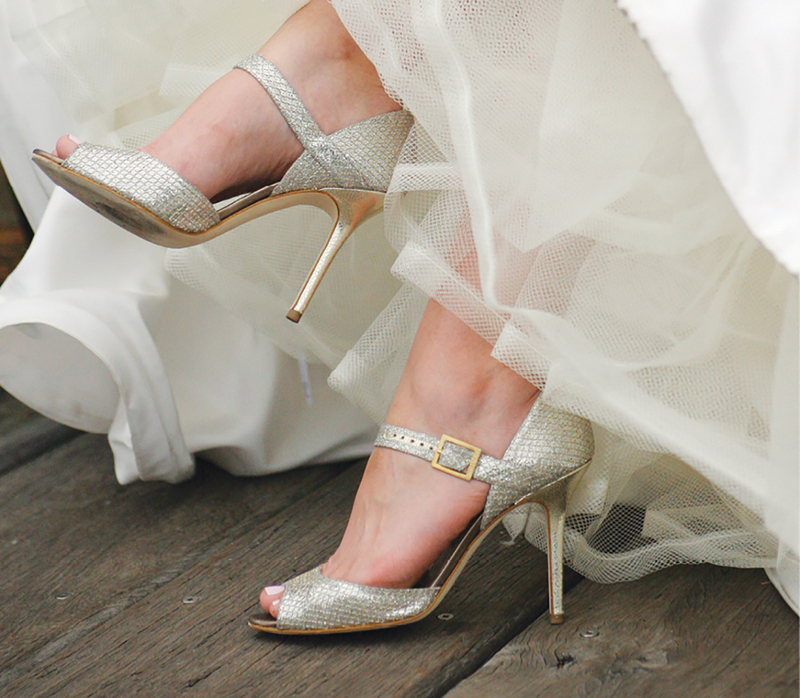 “I loved my shoes,” says Diana of these sparkling heels. 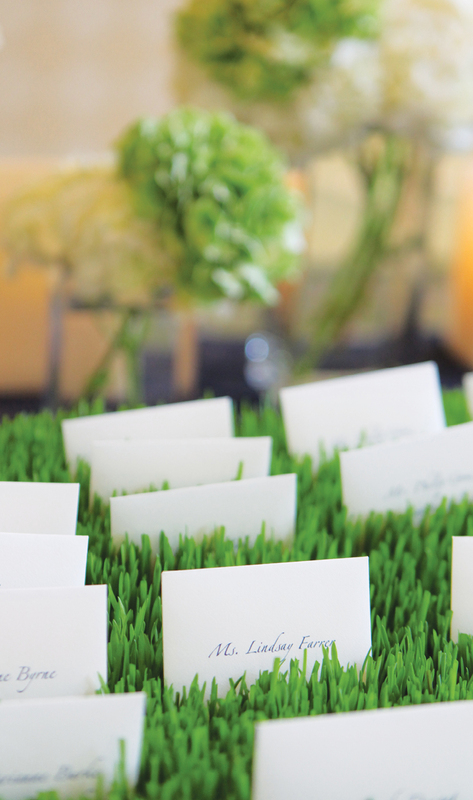 Place cards were propped up in a grassy display. 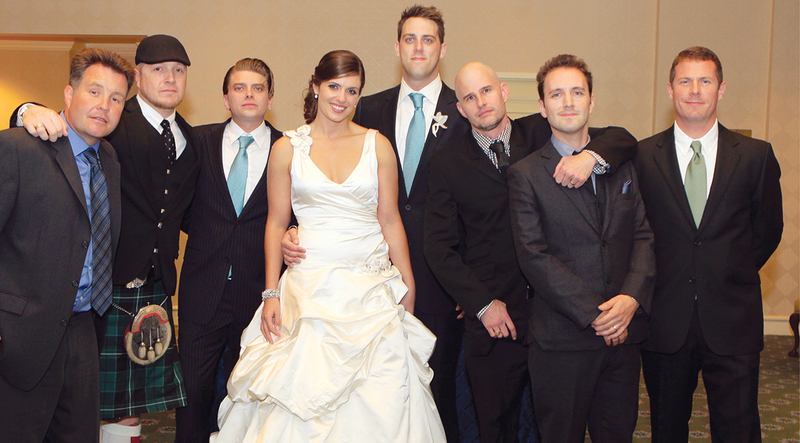 The Dropkick Murphys gang took a night off from performing to toast their guitarist and his new bride.